There is one thing that the users of the LifeSpan Fitness TR 3000i agree upon and that is the fact that the machine runs smoothly and quietly. Moreover, it does have great features that could help you realize your fitness goals while you enjoy doing so. We at HTBTB have made it a point of duty to thoroughly do a research on a product before writing about it. One other way we also try to verify the validity of any machine we intend to review is to also comb through series of ‘’verified’’ Amazon customer reviews to better understand the unit from the real users. Of course, going through the verified Amazon customer reviews is very important because there are other aspects of the machine you will never find anywhere else except from those that have had the first-hand experience and if most of the reviews are consistent t9ward a certain direction then you can easily conclude if a machine or a product is good or not. 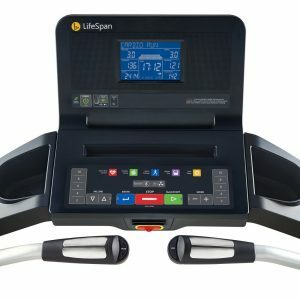 Therefore, we have already done the heavy lifting of finding out if the LifeSpan Fitness TR 3000i is a good buy or not. 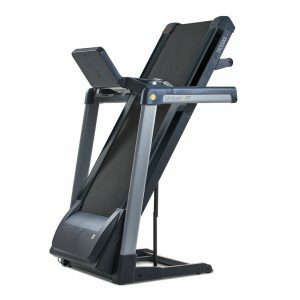 The LifeSpan TR 3000i Folding Treadmill has almost the same features as the TR 4000i but except for some few differences such as the motor capacity of the former is 2.75 CHP while the latter is 3.25 CHP, and the TR 3000i’s running surface is 56’’ L by 20’’ W while the TR 4000i’s is 60’’ L by 20’’ W and then the latter has slightly bigger dimensions than the former. Aside from these differences the TR 3000i and TR 4000i have same features except for the fact that the latter is more expensive than the former. See a comparison table below for some of the LifeSpan treadmills that would give you a better picture of their differences which will ultimately help you to make an informed decision on which one to buy just in case you have your eyes on any other model on the table. The LifeSpan TR 3000i Folding Treadmill’s frame is made of steel hence the lifetime warranty for it. And it features a very sturdy construction that also supports 350 pounds weight maximum user capacity. It does weigh about 220 pounds which also adds to the stability of the machine which means you don’t have to worry about it rocking or wobbling during a vigorous workout. Now, you may worry a little about relocation or storage because of the weight but that has been taken care of because at the rear base and somewhere at the front metallic base it features transport wheels that will aid in relocation without so much hassle. You may have noticed that it is also called a folding machine that can be folded up by the EZfold System that comprises a hydraulic cylinder that easily assists with the folding and unfolding process. This system prevents the machine from dropping hard on the ground during unfolding process and moreover when folded the machine’s size is reduced to 42’’ L x 33’’ W x 56’’ H from 71’’ L x 33’’ x 56’’ H which could be great for those with limited storage space and can also fit in most apartments without any issue as the size of the machine is of a medium size. The steel frame parts of the machine are coated with black and gray anti-corrosion paint that is also scratch resistant. The frame is constructed with durability in mind and there is no reason to worry about anything going wrong with it. The running surface is designed and supported by 8 compression shock absorbers that provide responsive cushioning to the joints which reduce the stress to the back, knees, ankles and the feet. With the 56’’ L x 20’’ W running surface a user will be able to walk, jog and run on it and as aforementioned it can conveniently support up to 350 pounds weight maximum user capacity without damaging the deck. This machine has got a very impressive running surface that is gentle to the joints, unlike the impact one could experience when working out on the concrete or tarred road. The deck’s belt motion is consistent and smooth as well thanks to the integrated large rollers of 2.5’’ at the front and 2’’ at the rear. Also, the running surface is made of a quality heavy duty 2-ply belt (56’’ L x 20’’ W). 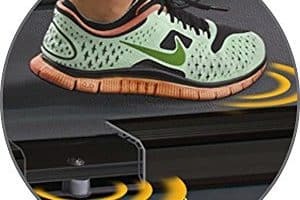 This can accommodate users of up to 6 feet 4 inches in height without much problem but some may experience stride restrictions if they want to run on it, therefore, a treadmill with the larger running surface may be required. You may have observed on the comparison table above, that the higher the treadmill model the higher the capacity of the motor. The TR 1200i has 2.5 CHP motor capacity while the TR 3000I has 2.75 CHP lower than the TR 4000i that has 3.25 CHP. Despite the difference in their motor capacity the TR 3000i and the TR 4000i supports the same 350 maximum user weight capacities and have a speed of 05 to 12 mph. 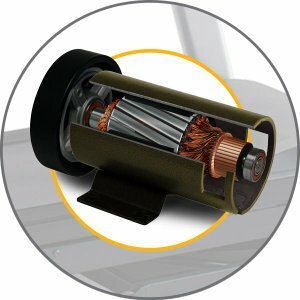 However, the 2.75 CHP motor that it possesses is powerful enough to support an intensive workout at a full speed without breaking down or overheating or reducing the quality of performance. The motor was durably built to withstand any kind of prolong workout hence the lifetime warranty. It is good for anyone that wishes to use the machine for regular and consistent running because the 12 mph speed it provides should be sufficient; nevertheless, it is not recommendable for professional running athletes though. The motor is super quiet and most of its users have applauded that fact. It is quiet than some of the other treadmills in its category. The machine being quiet during operation can be a big deal for some individuals because they can remain focused on working out, they don’t have to worry about disturbing the family or the neighbors either and moreover, they can conveniently watch their favorite TV show or listen to a good music while working out. The speed of the treadmill can easily be adjusted the speed key without having to disrupt your workout. Just in case you don’t know, the LifeSpan TR 3000i Folding Treadmill has 2 motors; one that powers the incline which lifts up to 800 pounds of weight whiles the other powers the belt. This machine is equipped with a motorized incline system that can ramp up to 15%. This means that a user can experience a challenging workout that will ultimately speed up weight loss and even tone the leg muscles. The console has a blue backlit 6’’ LCD display on it which has high readability. A user will be able to track his workout progress by viewing workout data such as the time, speed, calories burned, step count, and heart rate. You have the option to set up the distance in miles or kilometer while you also have the liberty of setting the speed to measure in mph or km/h. There are 21 workout programs available on the console which includes 5 weight management, 5 health living, 7 sports training, 2 heart rate, and 2 custom user programs. Obviously, there are quite a number of interesting preset workouts available to users. 3 intensity settings are also available for each of the preset programs. You can create your own workouts using the 2 custom user setting; this is basically done by inputting data such as your weight so that custom workout could be tailored for you. These 2 custom workout profiles are great because you can decide to use them both and swap or if there is another person using the same machine, that person can use 1 custom profile while you use one to keep your setting. There is Bluetooth connectivity available on the console but this can only work with the LifeSpan Bluetooth adapter which is unfortunately not included when you purchase the machine but have to buy that separately. You should be able to connect or sync wirelessly to your mobile device or even laptop in order to be able to use online apps such as LifeSpan Active Trac App that is designed to help you track your workout progress and also transfer data. However, the console is equipped with a USB port that can be used for charging your mobile device and also transfers data into your free club account. The machine is telemetry enabled which means you can you use the HR chest strap to monitor your heart rate which is a lot more accurate than the contact grip. Again, just like the Bluetooth adapter, the chest strap accessory is not included, you have to purchase separately. But if you don’t want to purchase and use the heart rate chest strap you can as well use the contact grip sensors for heart rate. There are other available features intended to make your workout enjoyable and productive. Such features are the 3-speed fan to keep you cool through the entire workout, sound system for quality sound output, water bottle holders for keeping water handy during workout session because hydration is very important during and after workouts, and tablet shelf for your mobile device. The sound system consists of two speakers on the sides of the monitor and they are compatible with phone device and MP3. It is fairly easy to assemble because it comes with major components preassembled. There is also an instruction manual that is included which could walk you through the process of assembly and might take up to an hour or less to set up depending on how skillful you are. The LifeSpan TR 3000i Folding Treadmill requires little maintenance of cleaning it each time you are done working out on it and dust it whenever necessary. It usually comes lubricated but there will be a time when the lubricant light indicator will pop up to tell you that you need to lubricate it. Therefore, you may want to buy the lubrication kit on Amazon. The LifeSpan TR 3000i Folding Treadmill is a recommendable treadmill that could appeal to many fitness enthusiasts. It has great features that are designed to help you achieve your fitness goals and even enjoy it while doing so. Even though the machine is constructed primarily for home use it is still very sturdy with steel frame, solid running surface and a powerful motor that can withstand any type of prolong high-speed workout without failing. There are overwhelming reports on the Amazon reviews that the customer service is also very good. They listen and attend to any problem in a swift professional way. Some people are frustrated because of poor customer service with other retailers but Amazon does an excellent job of responding promptly anytime a customer calls on them. Finally, this is a recommendable machine and if you decide to buy, Amazon would be the best place to do so.